The Microconic™ work holding system is a revolutionary micro-workholding system that grips tighter, chucks lighter, AND with more accuracy than ever seen before! The Microconic™ System consists of the cartridge and the collet. The Microconic cartridge fits in your machine Spindle just like a standard collet, with a built-in extended nose. A Microconic collet then fits into the cartridge. 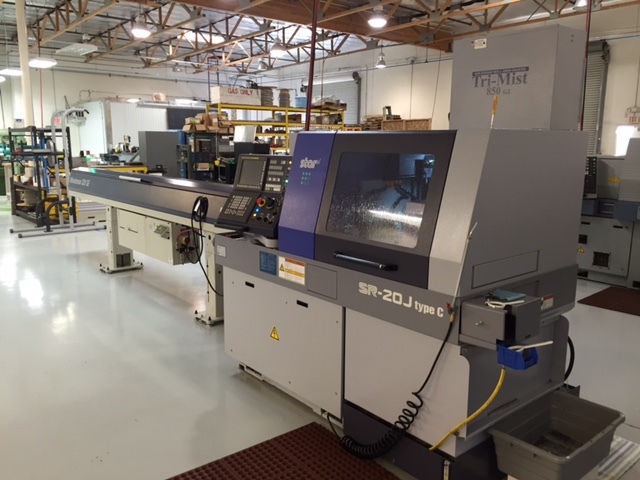 The system consists of two major components: The Microconic™ cartridge, which fits into your CNC machine spindle replacing the standard 5C, TF20, TF25 or TF37 collets, and the Microconic™ collet, which fits in the Microconic™ cartridge. 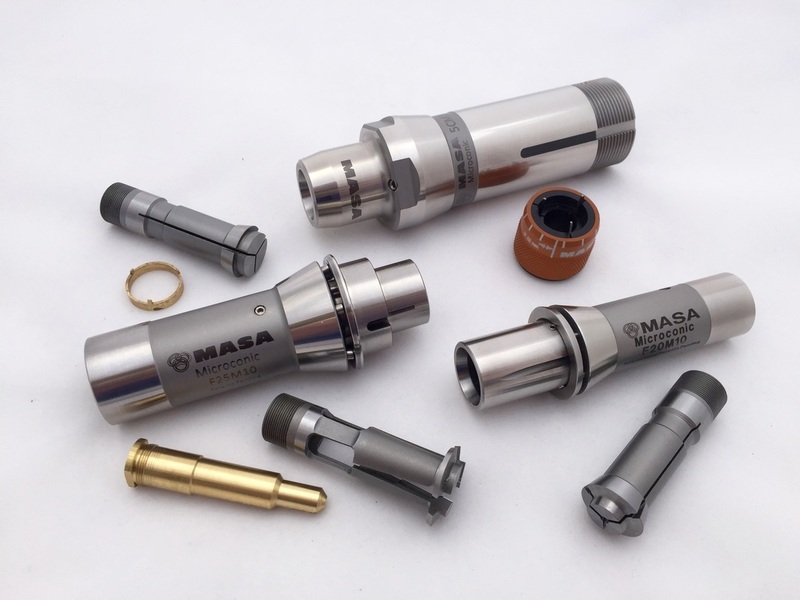 ​The Over-grip collet capabilities of Masa Microconic™ System, introduces a whole new world of time saving opportunities awaiting. 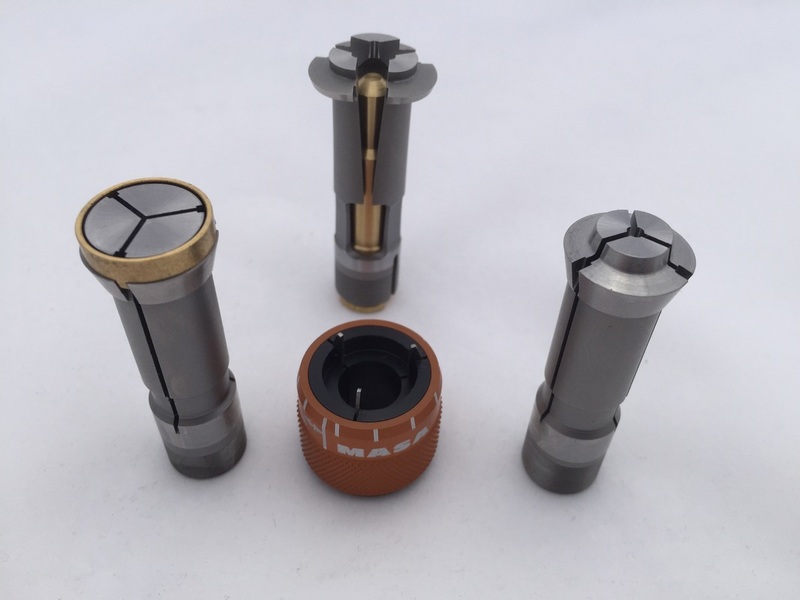 Our over-grip collets open up to 4mm (0.157") diameter larger than the clamping diameter. Introducing the F37 Cartridge! Click the picture for more info! 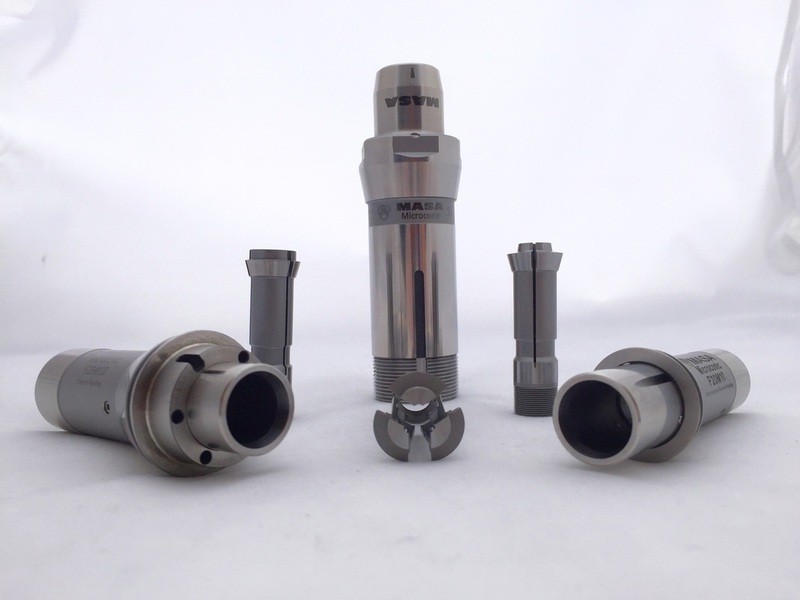 The Microconic™ system consists of the cartridge, which fits into your machine like a standard collet, and the Microconic collets which fit into our cartridge. Every Microconic cartridge comes standard with extended nose for unsurpassed rigidity because of it's single piece construction. 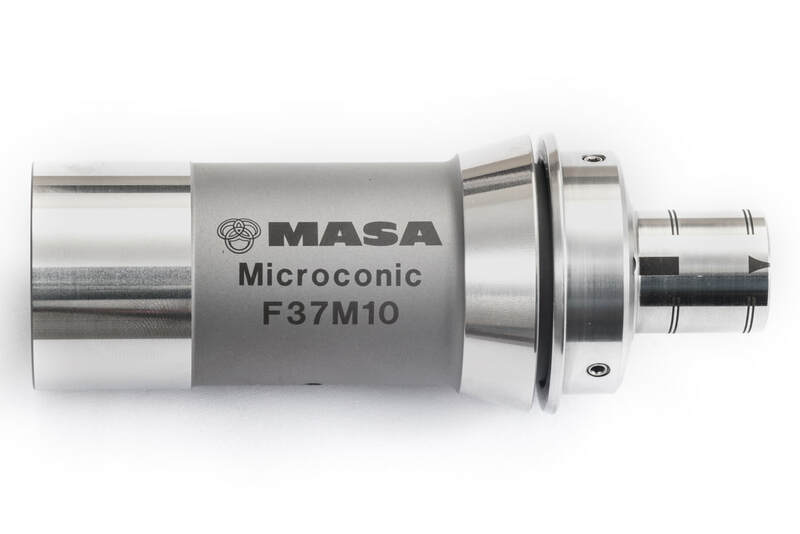 The Microconic™ cartridge can be used as a gauge to verify machine spindle accuracy. Micrograd™ Face Dial Wrench allow you to set your collet clamping pressure. Now, even the most fragile parts can be held safely and firmly. Extreme accuracy. Microconic™ cartridge concentricity is guaranteed to be within 5µm (.0002") runnout. Microconic™collets are hardened and precision ground to the highest quality standards. Regular 10mm collets are available from Ø0.2mm (.008") to 10mm (.394"). Over-grip 10mm collets from 0.5mm - 7.2mm diameter (0.020" - 0.283"). Over-grip 10mm collets open up to 4mm (0.157") diameter larger than the clamping diameter. 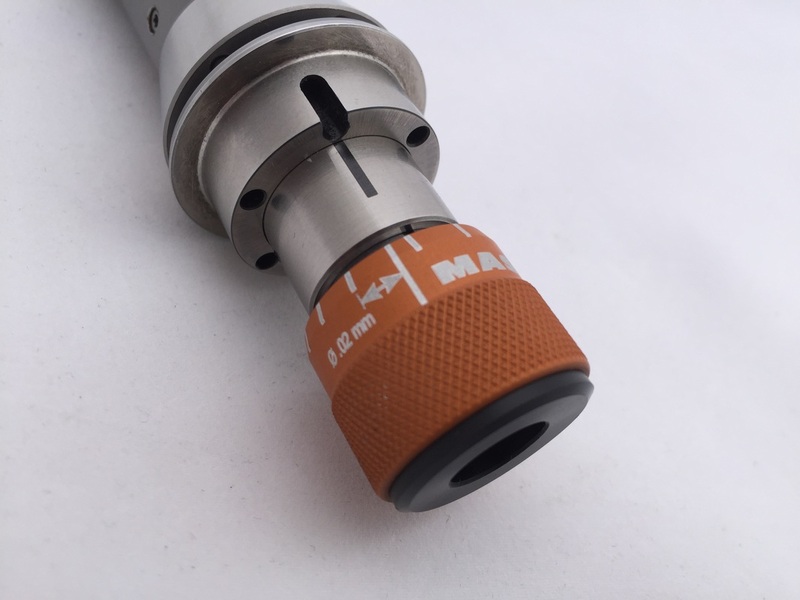 Some restrictions apply to larger sizes approaching the 7.2mm (0.283") max diameter. Microconic™ Over-grip Collets have unmatched rigidity and concentricity. If you have tried over-grip collets from other manufacturers then you will be shocked at the difference. View our Catalog below or Download it!